The Aquifer Educators Consortium forms the bedrock of Aquifer, bringing together more than 70 healthcare educators across disciplines—experts from the national leadership of organizations like AAIM, COMSEP, STFM, AGS, IAMSE, AUR/AMSER, and SIDM—to collaborate, innovate, and make advances in health professions education. For educators and healthcare providers, participation in the Consortium offers a unique cross-disciplinary peer community and an exciting opportunity for academic scholarship and advancement. The Aquifer Educators Consortium includes a series of unique interdisciplinary and discipline-specific teams working together to consider major issues and changes in education, and build a cohesive approach to pedagogy, assessment, and teaching across Aquifer’s courses. Consortium members are expert healthcare educators from across the country­—including award winners and leaders in national organizations—who possess the knowledge and skills needed to work collaboratively to create quality virtual case-based courses and assessments. The Consortium creates 100% of Aquifer’s course content, from developing new content and teaching tools to writing and editing virtual patient cases and assessment questions­. The result is evidence-based, peer-reviewed, pedagogically sound content that educators and learners can trust. But beyond the content, the Consortium provides direct strategic leadership to define the Aquifer pedagogy, inform technology development, and address emerging concepts and issues. 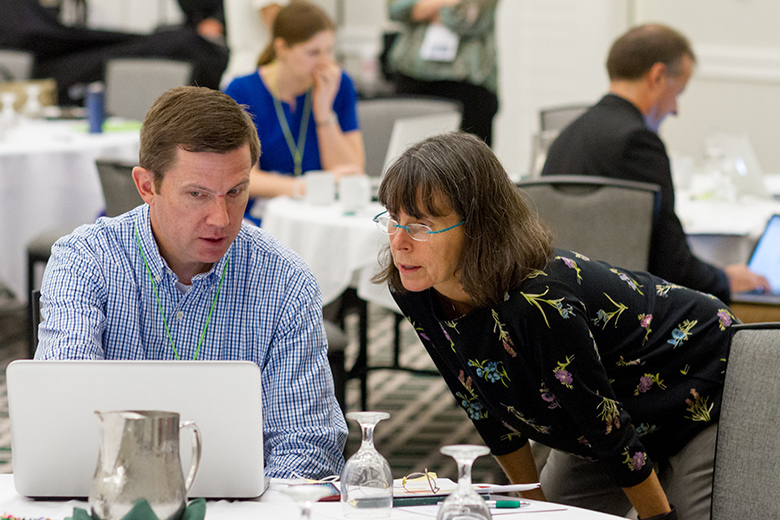 Consortium members represent Aquifer within their national organizations, acting as ambassadors at national meetings to connect with other users and often presenting their work to the academic community. The Aquifer Educators Consortium gathers each year for several days of intensive interdisciplinary collaboration and brainstorming, professional development, and hands-on course development work. This year’s meeting focused on student engagement, interprofessional collaboration, continuous course improvement, and initial work on the curriculum mapping and assessment redesign. The Aquifer Educators Consortium is the reason that Aquifer’s course content is the most informative, up-to-date, and trusted source of clinical learning in healthcare education. The Consortium, supported by the Aquifer staff and a talented group of academic contributors, builds, updates, and maintains each course case-by-case through a streamlined process. Aquifer’s Academic Directors lead the Consortium and provide strategic leadership across the organization in curriculum, assessment, engagement, and scholarship. Sherilyn Smith, MD is a Professor of Pediatrics (Pediatric Infectious Disease) at the University of Washington School of Medicine. 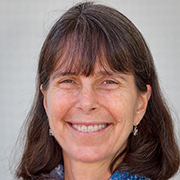 She has been an active member of the Aquifer community since 2001, serving as a case author, member of the curriculum working group, member of the Aquifer Pediatrics integration working group, and an associate editor. Dr. Smith became the Aquifer Pediatrics Co-Editor-in-Chief in 2009 and served in that role until 2015. She was a founding member of the Colleges at the University of Washington School of Medicine, serving as the Head of the Big Sky College from 2001 to 2009. She was the Director of the Pediatric Infectious Disease Fellowship at the University of Washington from 2009 to 2013 and served as the Associate Clerkship Director there prior to becoming Co-Director of Medical Student Education in 2014. Dr. Smith’s current and past national committee work includes: co-leader of the Council on Medical Student Education in Pediatrics (COMSEP) Research and Scholarship Taskforce (2003-2008), member of the COMSEP Executive Committee (2007-2010), and COMSEP President (2015-2017). She is on the Pediatric Infectious Disease sub-board for the American Board of Pediatrics (2015-2020). Dr. Smith graduated from Duke University with a degree in Spanish Literature and received her MD from Baylor College of Medicine. She completed her pediatric training at the University of California San Diego and her Pediatric Infectious Disease Fellowship at the University of Washington. In 2000, she completed the Teaching Scholars Program at the University of Washington. Dr. Smith and her husband have one child. She enjoys reading, running, watching youth sports, and finds joy while hiking around the Pacific Northwest. Dr. Valerie J. Lang is an Associate Professor of Medicine in the Hospital Medicine Division at the University of Rochester. Dr. Lang directed the Internal Medicine Clerkship for 13 years and the Medicine Sub-Internship for 15 years. She currently directs the Hospital Medicine Faculty Development Program and is the inaugural director of the Meliora in Medicine course and thread through all 4 years of the medical school curriculum. 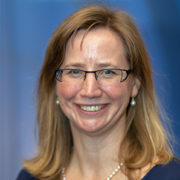 Her current and past national committee work includes: Clerkship Directors in Internal Medicine (CDIM) Council; CDIM President (2014-2015); Board of Directors, Alliance for Academic Internal Medicine (AAIM); and Co-Chair, High Value Care Working Group (AAIM); and the Society to Improve Diagnosis in Medicine’s Diagnostic Error Competencies development group. She is the recipient of the 2019 Ruth-Marie E. Fincher, MD, Service Award, presented by CDIM for outstanding service to the organization. As the Aquifer Academic Director for Assessment, Dr. Lang provides strategic guidance to inform Aquifer’s non-profit mission of advancing health professions education. She is currently leading the development of innovative new formative assessments for a range of disciplines and led a multi-institution validation study of Aquifer Internal Medicine’s Clinical Decision-Making Exam (formerly the Key Features Exam) that was recently published in Academic Medicine. She is also a past Co-Editor-in-Chief of the Aquifer Internal Medicine course. Dr. Lang earned her MD from SUNY Syracuse College of Medicine and completed her Internal Medicine residency at the University of Rochester. She graduated with a Masters in Health Professions Education from the University of Illinois at Chicago. Val and her husband, a medical oncologist, have a son in elementary school who is an avid online learner. She enjoys 4-season biking (even in the Rochester winter), gardening, and traveling. Alec Chessman, MD has been engaged in medical education since 1988. He has directed courses in all years of medical school, and has precepted residents in the inpatient and outpatient settings for over 25 years. He introduced Evidence Based Medicine into the preclinical curriculum in the early 1990’s. Through HRSA grant funding, he introduced such innovations as providing laptop computers for students on clerkship rotation at away sites during the 1990’s, prior to a required laptop requirement. 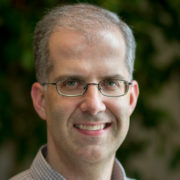 He has received several honors from his professional academic organization, the Society of Teachers of Family Medicine, including STFM President’s Awards for his participation in: the Predoctoral Directors’ Development Institute (faculty development fellowship), a faculty development newsletter called Teaching Physician (newsletter) for which he served as one of the Founding Editors for over a decade, the fmCASES Project Development Group, and the STFM Family Medicine Clerkship Curriculum Task Force that defined a national set of core objectives. He was part of the teams that won STFM Innovative Program Awards: for fmCASES in 2015, and for CERA in 2016. He received South Carolina AHEC’s James G. Halford, Jr. Award for the outstanding family medicine educator of the year in 2012, and STFM’s Excellence in Education Award in 2016. He was part of the original team that developed fmCASES, now Aquifer Family Medicine. He authored one of the cases, and served as Co-Editor-in-Chief, and then Co-Senior Director until 2016. He has served as Editor-in-Chief of Aquifer Trauma Informed Care (currently in development), a set of virtual patient cases developed under contract with the Department of Health and Human Service’s Office of Women’s Health. Designed for primary care practitioners, these cases seek to improve care for patients adversely affected by traumatic life events. Dr. Scott first became involved with Aquifer (formerly MedU) in 2007, when he joined the fmCASES (now Aquifer Family Medicine) development group. He’s been an active member of the Aquifer Family Medicine Course Board (where he continues to serve) since the launch of the course, in addition to leading workgroups to support student and educator Aquifer users. Dr. Stephen Scott recently became the Senior Associate Dean of Educational Affairs and Accreditation at the newly formed Texas Christian University and UNTHSC School of Medicine in Fort Worth, Texas. He served a short term as the TCU and UNTHSC Chair of the Department of Medical Education and Director for the Longitudinal Integrated Clerkship prior to earning a promotion. Previously, he served as the Associate Dean for Student Affairs at Weill Cornell Medicine – Qatar. 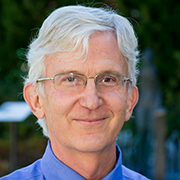 For more than 20 years, he has worked with medical students, residents, and faculty in the classroom and in clinical settings, including directing courses in patient-physician communication, clinical skills, public health, and other disciplines. Dr. Scott is the recipient of multiple grants and awards for educational leadership and innovation. He and his wife Melissa have two daughters. Steve enjoys playing the piano, the arts, reading, and exploring the world with family and friends. Representatives from each course board serve on Aquifer’s interdisciplinary teams to discuss key issues and work to comprehensively advance Aquifer’s content. Academic Council: Provides cross-disciplinary strategic leadership on curriculum development, course improvements, emerging issues in education, and technological advancements. Curriculum Committee: Collaborates to ensure that Aquifer content is consistently up-to-date and pedagogically-sound; improves educational resources. Assessment Committee: Collaborates to ensure quality and consistency of Aquifer assessments; provide input on strategic direction and new projects. Teaching & Learning Group: Collaborates to develop faculty development workshops, teaching materials, educator resources, and support best-practices in Aquifer course usage. Every Aquifer Course board has individuals working in a range of roles, implementing strategic initiatives, overseeing the content review and editing process to ensure accuracy and consistency, developing new features, building teaching tools, and promoting best practices in teaching and learning. The Aquifer Educators Consortium oversees a talented group of educators and students who write, review, and edit virtual patient cases and assessment questions. View the full team of Aquifer Sciences Contributors. The Aquifer Educators Consortium is supported by a talented group of educators and students who write, review, and edit virtual patient cases and assessment questions.